Venue is booked, date is set and while Himself was off on half term there I set him the task of going through photographers. To be honest I just want to go and try on dresses and experiment with cake designs but unfortunately there are so many other things to be ticked off the list first including the dreaded guest list! My family is massive (traditional Irish catholics and all that!) while His is really little. Finding that balance so one side doesn’t outweigh the other is a bit of a battle. Once we had set a date we knew we needed to send out some Save the Date cards. Our wedding will be back home in Ireland but half our guests are coming over from England. 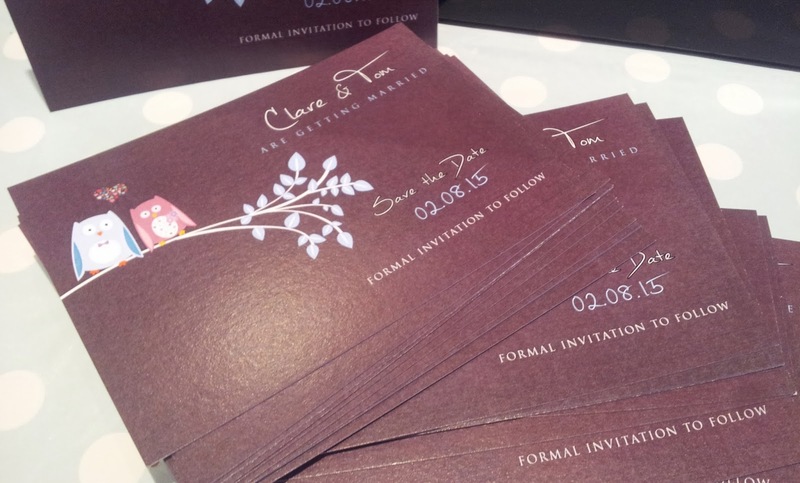 Maybe I am being overly organised but I wanted to send the Save the Dates out early so our English guests would know the wedding was in Ireland and would have time to save for it. 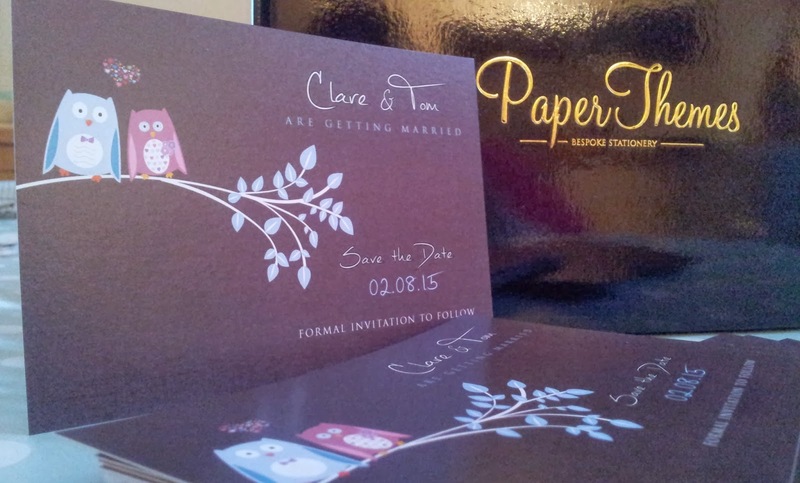 We had been discussing this for a while when Paper Themes asked me to review some Save the Date cards for them. Initially we had wanted to design our own but I’ve discovered with wedding planning that even though I want to do everything myself (control freak, yes I know!) sometimes you just need to let other people do the work for you. 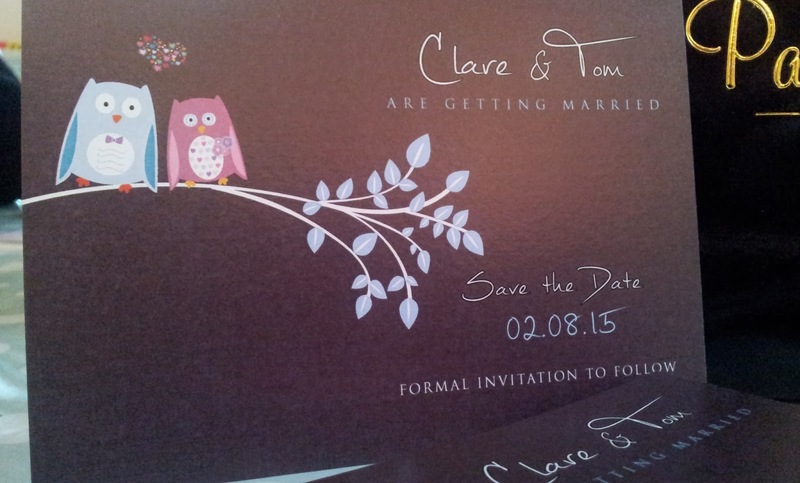 After having a nose on their website we found the design that we loved and the wee owls reminded me of the blog too. I just loved them and thought they were so cute. Since the cards arrived and we have been distributing them everyone has told us that they really like them. I even have one stuck to the side of my computer at work as a constant reminder of our soon to be wedding day! Thanks to Paper Themes for the Save the Dates, we both love them!